Since finishing the 12 week Ballymaloe course in 2013 I have been working in kitchens in London. 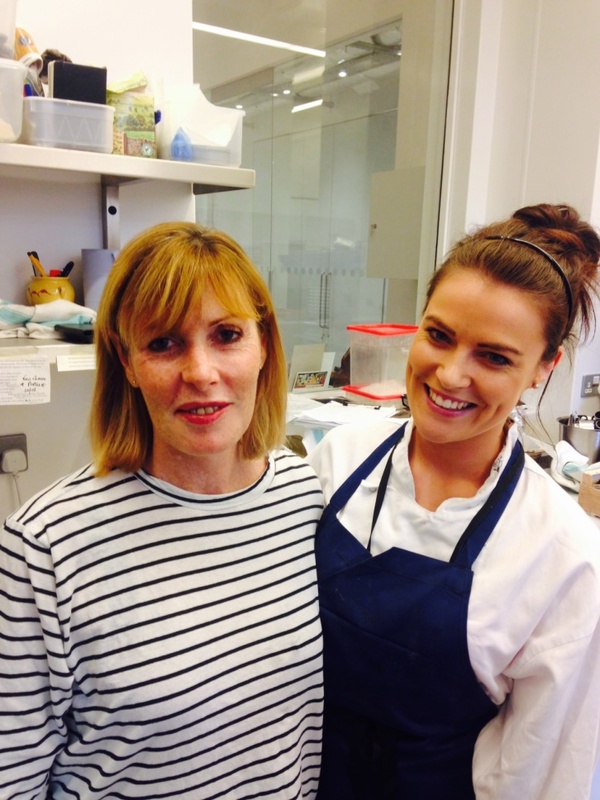 For the past year, I have been working as a pastry chef for Skye Gyngell at her restaurant Spring in Somerset House, London. At Spring I work alongside Head of Pastry, Sarah Johnson who is also a Ballymaloe alumnus and a former emolyee at Chez Panisse in San Francisco. Once completing the Ballymaloe course I made the tough decision to leave Cork and move to London on my own to begin my career as a chef. After making many London-based friends throughout the 12 weeks, and with the help of Darina's fantastic contacts in London, I felt confident that the tough decision would be the right one for me. I began working in a cafe in Chelsea which had been advertised on the Jobs For Cook’s website and, once the season at this cafe was finished (7 months), Spring was just about to open. I applied for the job as chef de partie of pastry, did a trial a few days later, was offered the job and have been working there since. Before beginning the 12 week Ballymaloe course, I wasn't always certain that I would embark on a career as a chef. I was always hugely passionate about food and creating dishes, but always found the thoughts of working in a professional kitchen very daunting. I decided to embark on the course with the business side of the industry in mind, but a few weeks in, there was no getting me out of the kitchen. Working with such exciting and seasonal ingredients as you do at Ballymaloe, and gaining confidence from the teachers throughout the course, made me oversee my previous hesitations to work in a professional kitchen. Working as a chef is definitely a challenging career. The hours are very long, you’re on feet some days for 16 hours straight, and the work is very intense but the highlights far out way the challenges. At Spring, we get to work with the best ingredients. We work directly with a biodynamic farm, Fern Verrow, and the menu changes coincide with what we are to receive from the farm in the coming days. Knowing your working with ingredients which have sometimes been picked from the ground the very night before you are using them is both exciting and inspiring. You become part of a team when working in a kitchen, which given the long hours spent together, soon start to feel like family. You make strong friendships with these people that you can rely on during the stressful busy services. You work with people of varying levels of experience, cultures, personality and sometimes temper, meaning you are constantly learning both about your career and yourself. For the coming year I hope to continue gaining as much experience as I can as a chef while away from home. I hope to eventually return to Cork and slot back into the exciting food scene that is unfolding there with everything I will have learnt. I am traveling to America in January where I will be doing an internship at Chez Panisse, a restaurant which has a huge influence on everything I am learning at the moment, and food that I feel most inspired by. As well as cooking, I have a big interest in food styling, writing and photography. Starting my blog was a fun way for me to start experimenting with this. It’s something I would like to focus more on and hopefully gain some professional experience in. For anyone considering the 12 week course I would say GO FOR IT. I would go back and do the course again and again if I could, both because I enjoyed it so much but also because no matter how much or little experience you have in the kitchen there is so much to take away from Ballymaloe. I use knowledge and techniques I learnt at Ballymaloe everyday both in and outside of work. You are welcomed into a network of Ballymaloe-ers, who have all carved different paths on completing the course, but are always willing to help out the next graduate wanting to do achieve something similar. The course opens you up to a fun and exciting industry full off endless opportunities.